This is a good fare for late Summer and Fall travel to Ho Chi Minh City. Southeast Asia is best in the Fall and Winter when the weather isn’t as hot as the Summer. 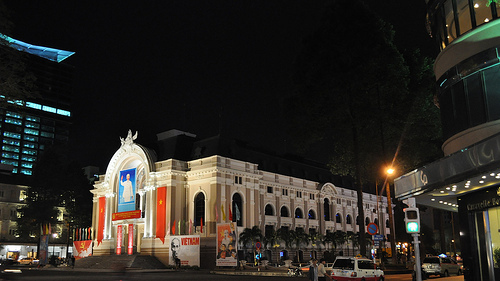 Use Ho Chi Minh City as the springboard to visit the rest of Vietnam. 15,676 miles or 5.8 cents per mile. Remember to collect your miles, 15,676 miles is more than enough for an one-way domestic award ticket! 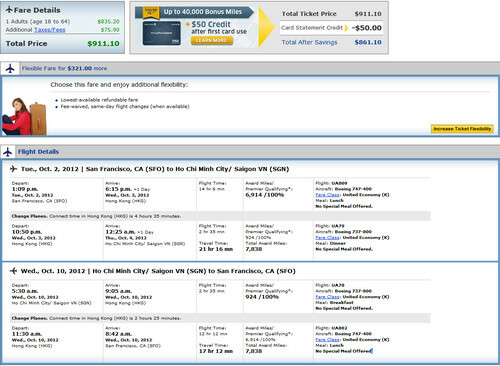 Miles = free travel.